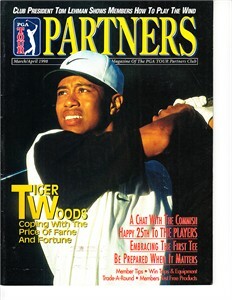 Lot of 2 PGA Tour Partners magazines featuring Tiger Woods on the cover: March/April 1998 and July/August 2005. 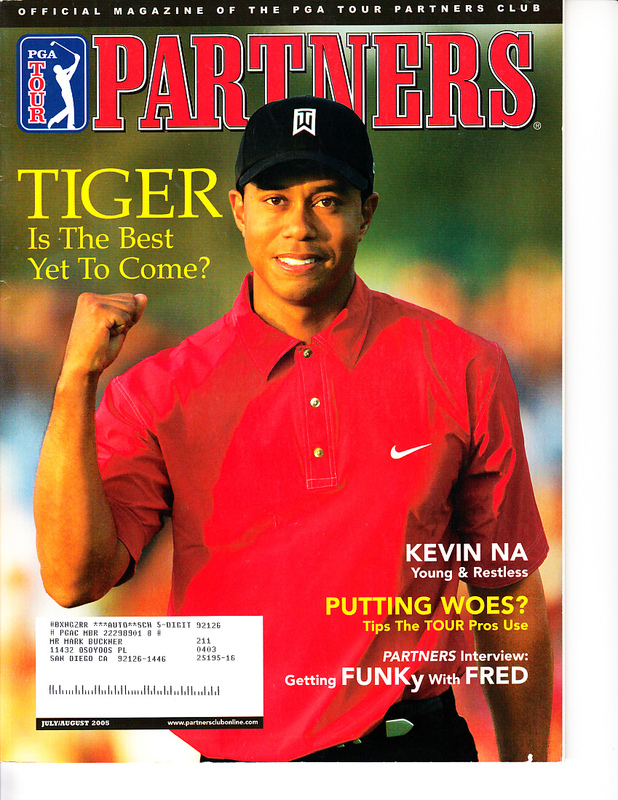 The 1998 has the subscription label removed leaving minor residue, and other minor flaws/wear. The 2005 has address label plus minor flaws/wear. ONLY ONE LOT AVAILABLE FOR SALE.